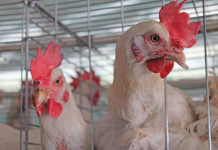 Mycotoxins, which are present in most animal feed, can affect a poultry flock badly. It’s crucial to manage feed and the environment to lower mycotoxin levels. Good quality feed makes it easier for chickens to handle some mycotoxin loading in their feed. 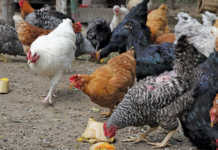 Mycotoxins are poisons produced by fungi, and cost the poultry industry millions of rand in lost income every year. According to Dr Jules Taylor-Pickard, global mycosorb manager at animal health and nutrition company Alltech, ‘low-quality ingredient syndrome’ occurs when poor quality feed with a high proportion of mycotoxins is fed to chickens, jeopardizing healthy poultry. Dr Taylor-Pickard explains that mycotoxins in feed weaken the animal, which then does not perform properly. The more mycotoxins there are, the more easily fungi grow, she says. 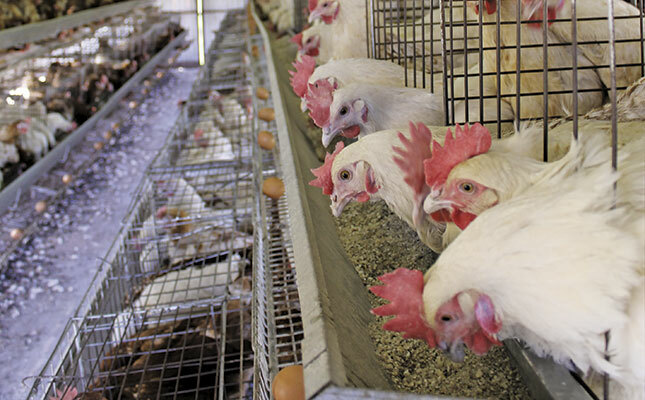 When chickens take in mycotoxins with their feed, they lay fewer eggs of a smaller size. The feed conversion rate is poor and the immunity of the birds is lowered. This means they can pick up diseases in the chicken house more easily. Mycotoxicosis includes diseases that are caused by toxins from fungi. Prof Elizabeth Santin, a mycotoxin expert at the Federal University of Panama, says that the symptoms of mycotoxicosis are not specific and could be similar to the symptoms of birds who are sick due to poor management, inadequate nutrition and bad health. This makes it difficult for the farmer to diagnose the problem and take appropriate action. Mycotoxicosis occurs worldwide, but is more common in areas where temperatures and humidity are high. Mycotoxicosis can be prevented by carefully selecting raw feed materials and ensuring hygienic storage conditions. Feed must be inspected and any raw ingredients or ration where fungus or mould can be seen must be thrown out. Ask your extension officer to help with adding nutritional supplements to the feed. Substances which absorb mycotoxins can also be added. Vitamin E and selenium levels should be optimal. These powerful anti-oxidants help boost immune systems. Anti-fungal agents can be used to stop fungus growing in the feed. Adding copper sulphate to feed at a recommended dose for seven days can also be helpful in controlling mycotoxins. Make sure feed is stored in a dry environment. Santin says that when feed is stored, it’s important to keep the temperature and humidity in the storage bins or silos as low as possible. It’s also vital to keep equipment clean. This may involve regular and thorough housekeeping so that feed is prevented from building-up in corners or at the bottom of bins. Where there is build-up, the feed must be removed. “The same standards of cleaning should apply to any on-farm silo or feeder, as fungal growth and mycotoxin production could occur wherever feed is stored,” says Santin. Mycotoxin control should start the day a new flock is placed. Add anti-fungal preservatives and increase protein in the feed to keep a healthy poultry flock and reduce mortality. Mycotoxins affect the birds’ intestines and make it difficult for them to absorb nutrients. If you see undigested feed in the faeces, take action as this can be a sign of a mycotoxin problem. “We’ll never totally eliminate mycotoxins from the food and feed chain,” says Taylor-Pickard. A healthy bird in a well-managed system is able to resist the impact of mycotoxins. 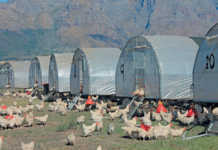 For more information on improving feed quality, phone Alltech South Africa on 021 865 2669 or visit www.alltech.com. This article was originally published in the 6 September 2013 issue of Farmers Weekly.